This bathroom mirror with lights also has a handy built in magnifying mirror which is also illuminated and is ideal for make up and shaving etc. 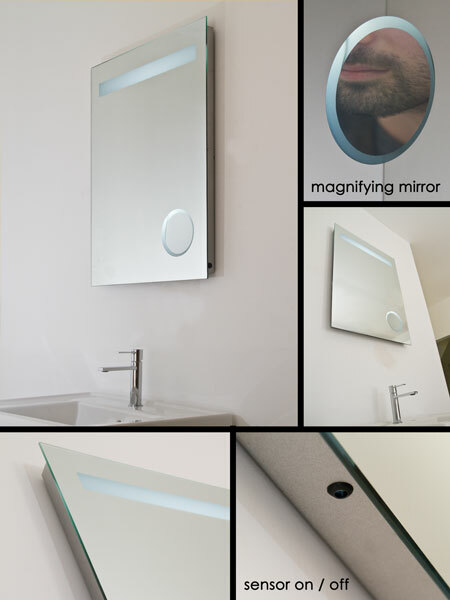 With a sensor on / off light switch each magnifying lit mirror has a built in heated de-mister pad, allowing for clear condensation steam free viewing. * Mirror with magnifying mirror. * Sensor on/off light switch.